Camden Lago Vista's beautiful community offers one, two, three bedroom apartments and townhomes – yes, you read that right, our two bedroom townhomes are highly sought-after floor plans that showcase a loft and a two-car garage. In your new apartment home, you will love the open-concept floor plans with plenty of space to entertain and relax with your family and friends. Our kitchens are perfect for anyone who loves to cook. With clean sleek white cabinets, stainless steel appliances, large pantries and brushed nickel hardware; it is the perfect place to make the perfect meal. Full-size washers and dryers, spacious walk-in closets, crown molding and garden bathtubs all make up why you should call Camden Lago Vista home. Our pet-friendly community is perfect for every four-legged family member! Keep your dog healthy by playing ball with your pooch in our fenced in Dog Park with a covered seating area to keep you out of the sun. Your pups won’t get thirsty after all that running with a nearby water station to keep them hydrated. Camden Lago Vista is only minutes from ITIG Happy Dog Wash, Pet Paradise Boarding & Grooming, and Petco where all your pet supplies are available. Our pool is calling your name! Put your feet up and enjoy the Florida weather on our sundeck next to the refreshing swimming pool and relaxing hot tub. Grill some burgers and hotdogs with your friends at our outdoor grilling stations or shoot a game of pool on our billiards table in or resident lounge. Do you like to work out? Our fitness center has cardio equipment and free weights for you to use to keep in shape. There is also lakeside walking trails if you want to take your workout outside. Camden Lago Vista is in an amazing location! Need to get to downtown Orlando or Nona Medical City? No problem! We are conveniently located near major roads including SR 408, SR 417, SR 528, and I-4, living at Camden Lago Vista will make your commute a breeze. If you travel frequently for business or pleasure, you are in luck! The Orlando International Airport is only ten minutes away to whisk you away to 100s of destinations across the world! Enjoy living within walking distance right out our back gate to Lee Vista Promenade with stores like Ross, Home Goods, and Michaels or where you can create your own perfect frozen yogurt cup at Menchie’s or enjoy a pint at Marlow’s Tavern. There are endless restaurants and amazing shopping options for you to choose from. For your everyday needs like groceries, Publix, Aldi, and Walmart are only a 10-minute drive down the road. Residents also receive a technology package through Spectrum included in your total monthly rent. This money-saving package includes high-speed internet with speeds up to 60 Mbps, WiFi, and more than 300 digital channels with over 100 in HD. 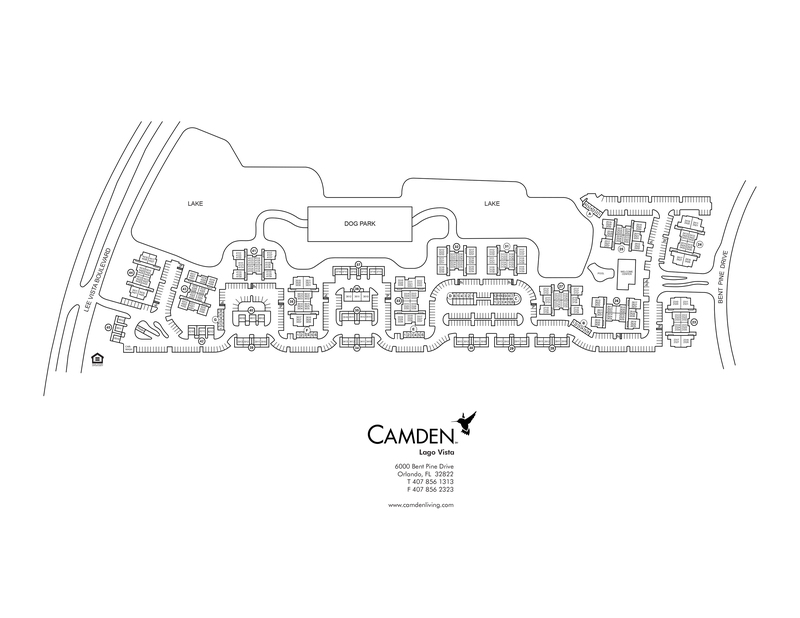 Come home to Camden Lago Vista for convenient living. Call today to make an appointment to see your beautiful new apartment home! At Camden, your pets are family too! We welcome cats and dogs, up to two pets per apartment home no pet weight limit. Call us with any pet-related questions! Pet Rent $20 per month per pet. Get the perfect spot! We have ample open parking for our residents and visitors on a first-come, first-served basis. Townhomes include attached garages.